Tokyo: a city that’s said to be the heart and soul of Japan. The sights and sounds astound all who travel to this unique land in search of both oddities and traditional Japanese experiences. For many tourists, however, the number one tragedy is that they believe Tokyo to be the end-all-be-all of destinations, and rarely venture outside the main city. In doing so, they end up missing out on so many wonderful sights and adventures. If you want to experience a side of Japan most travelers overlook, enrich your journey to the land of the rising sun by checking out one or more of the day trips we’ve listed below. Trust us – sometimes you got to take the path less traveled! Okutama is located west of Tokyo and sits comfortably inside the Chichibu Tama Kai National Park. The largest lake in Tokyo, Lake Okutama, provides citizens throughout the area – as well as Tokyo – with drinking water, and also has a sizable dam. The Okutama Onsen is a great place to rest and relax after exploring through the many mountains that surround the small town. Boasting five mountains, two rivers, and two lakes, Okutama is never void of natural beauty and wonder. If hiking and exploration are high on your list of things you want to do while abroad, you can find several trails to follow in the Okuchichibu Mountains. Along the way, be sure to stop by the Nippara Cave, which is home to the second largest limestone formation in the entire region. It’s only surpassed by the Gunma Prefecture’s Fujido Cave, but is still formidable and a wonder to behold. Nestled in the Kanagawa Prefecture, Kamakura is accessible by train from Tokyo with a travel time of around one hour. If you find yourself in the area during the warmer seasons, you’ll be delighted to know that there are several beaches just waiting for you to set up your towel and soak up the sun. Even when the weather’s not ideal for catching some waves, there’s still plenty to see and much to do around Kamakura. 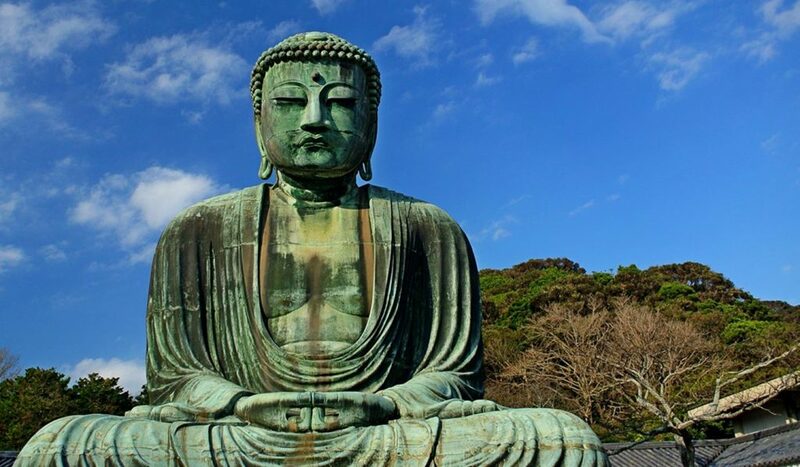 For those looking for a more spiritual experience, Kamakura happens to host to several temples and shrines, including Hasedera Temple, Hachimangu Shrine, Kenchoji Temple, Meigetsuin Temple, and Zeniarai Benten Shrine. Of course, you can’t forget to take a gander at the Great Buddha Statue – it’s the number one sight to see here! This small town might not seem all too impressive compared to the hustle and bustle of Tokyo, but it’s actually one of the top ten most visited destinations in Japan. Head on down and see what all the talk is about! 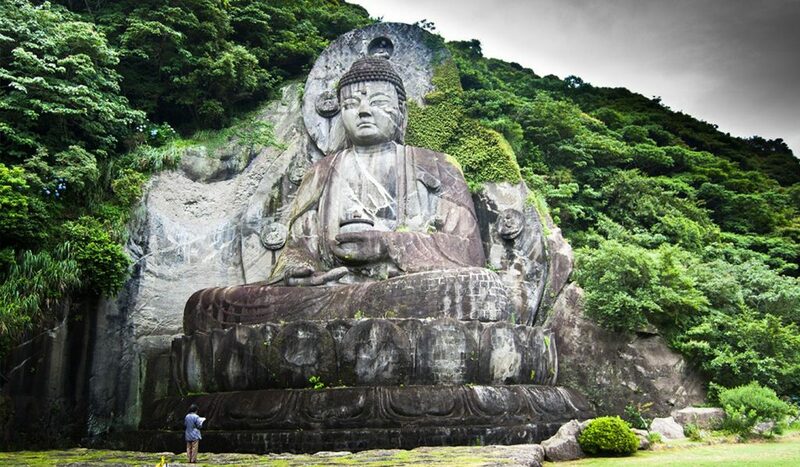 Kamakura has a lot to offer, check out Our Selection of The Top 10 Things To Do in Kamakura. If Tokyo is appealing to your sensibilities, Yokohama is sure to be a veritable paradise that’s only an hour away. 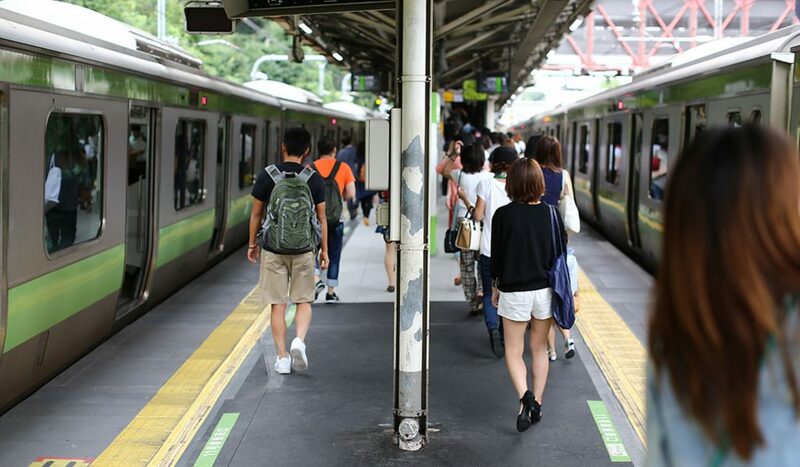 As the second largest city in all of Japan with three million residents, you’ll be hard pressed to distinguish this busy area with that of Tokyo’s lively cityscape. Many expats have chosen to take residence in the city, which has created one of the more diverse populations in the prefecture. 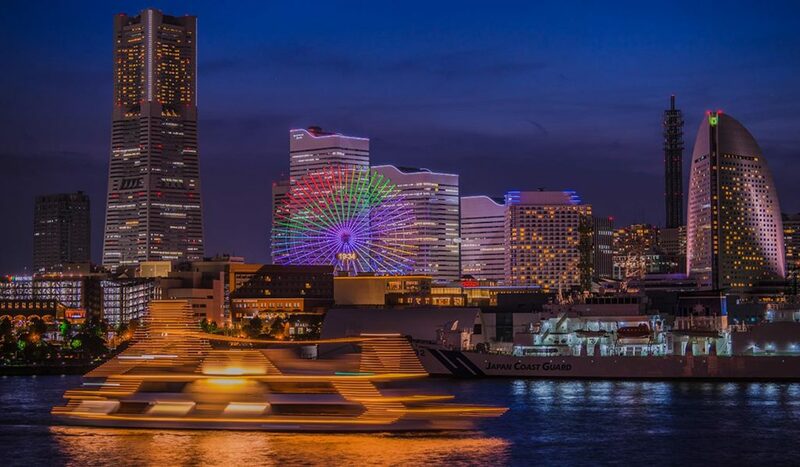 The top attractions we recommend checking out in Yokohama are the Sankeien Garden, Zoorasia Zoo, Chinatown area, and Hakkeijima Aquarium and Amusement Park. Those looking to sample Japan’s authentic food and drink will be delighted to know that both the Ramen Museum and Cup Noodles Museum are relatively close to the heart of the city, and are always prepared to provide travelers with an authentic taste of Japanese noodle cuisine. If you’re thirsty (and over 20), you can also head over to the Kirin Beer Factory and enjoy a free tour of the brewery that makes one of Japan’s most famous alcoholic beverages! Take a look in all our recommendations of things to do in Yokohama. If you’re not a big fan of traveling, Hakone might be a good day trip to take, as it’s less than 100km from the city of Tokyo. This area is actually a part of the Fuji Hakone Izu National Park, and presents some of the most beautiful sights and experiences in Japan to travelers from around the world. For those interested in the historical and modern art of Japan, there’s the Open Air Museum, Pola Art Museum, Okada Museum of Art, Hakone Art Museum, and Narukawa Art Museum. If relaxation and serenity is your goal, any of the numerous Hakone Hot Springs found in the area are sure to work out the kinks in your body and spirit and help you feel refreshed and invigorated for the rest of your trip. For those looking to see more than just tall buildings and technological marvels, there are always gorgeous sights to behold at Lake Ashinoko, Owakundani, Odawara Castle, Gora Park, and Pampas Grass Field. Even if you just need a few hours away from the crazy city atmosphere, you can always count on Hakone to calm your nerves and soothe your soul. Find out what to do and how to get in Hakone. Ever been on an island? How about an island that’s full of shrines dedicated to a goddess of great fortunes, knowledge, music, and wealth? If the answer is no, you may want to try out the small island off the coast called Enoshima. Don’t worry if you get seasick easily – the island is connected to the mainland by a bridge, and there are escalators (you can purchase a day pass to use them) that can get you around easily enough. If you’d rather enjoy heading out onto open water – even if it is only for 10 minutes – there’s a lovely ferry that runs on weekdays to take you to the island. Once you’ve reached the island, you can enjoy Benten’s Shrines (the goddess mentioned before), which are collectively called the Enoshima Shrine. There are also large cave formations that can be explored, relaxing spas complete with hot springs and cave pools, and gorgeous views of Mt. Fuji on clear days! If you wish to stay on the mainland, there are also aquariums, temples, and beaches to enjoy nearby. 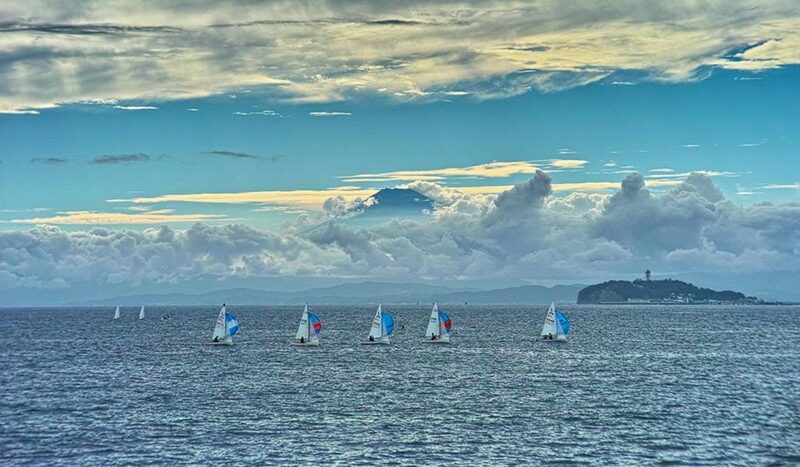 Don’t miss out our recommendations of things to do in Enoshima and make the most of your time in there. Using either the train or a ferry, getting to Nokogiriyama is an adventure in and on itself. After leaving the train from Tokyo or local ferry, you’ll find an interesting ropeway that leads to the top of the mountain. If you can make it to the top, the views will likely be well worth the journey: Tokyo Bay, Mt. Fuji, Tokyo Skytree, and the natural beauty of the Boso Peninsula. If you keep exploring, you’re sure to discover other hidden treasures this mountain has to offer! Along with 1500 rakan statues (some in better shape than others) scattered around the mountain, a 31-meter tall statue of Buddha is displayed halfway up the mountain. Not to be outdone by its larger counterpart, a 330-meter tall statue of the Buddhist Goddess of Mercy can be found near the top of the mountain peaks. 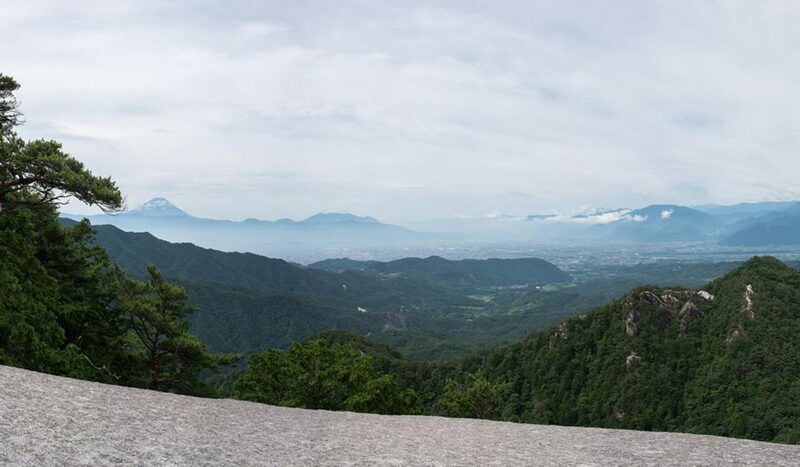 If you’re not a fan of vertical climbing and much prefer mainly horizontal journeys, Nihonji Temple stretches out across the mountain and takes at least an hour to transverse by foot! If you came to Japan with the expectation to see the largest, grandest shrine in all the land, then you simply must head on over to Nikko. The town itself is situated before the entrance to the Nikko National Park, and has many fine shrines and temples around it – including the most lavish shrine in Japan, Toshogu Shrine. 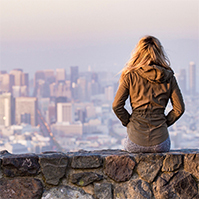 It’s hard to find a more finely decorated area of spiritual energy, and many travelers have it listed as one of the top things to see on their traveling list. Though they might not be as ornately decorated or renown, you can visit Rinnoji Temple, Taiyuinbyo Temple, and Futarasan Shrine. There are also lovely landscapes to behold at the Botanical Garden, which is used as a research garden for those studying at the University of Tokyo. For an even more immersive experience, you can enjoy the Kanmangafuchi Abyss – a walking trail that leads through a large gorge. These are the kinds of things that you just can’t find in Tokyo! 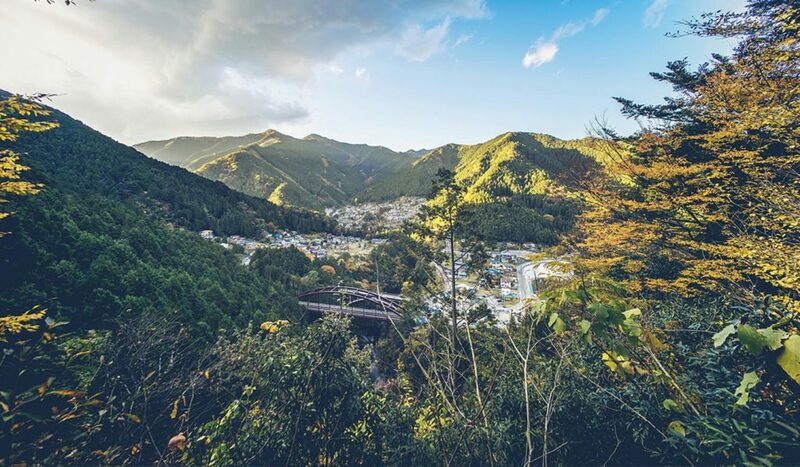 Discover how to get there and more options for attractions in Nikko. Although it may be just a bit farther away than some of the other areas on the list, a day trip to Izu is well worth the travel. 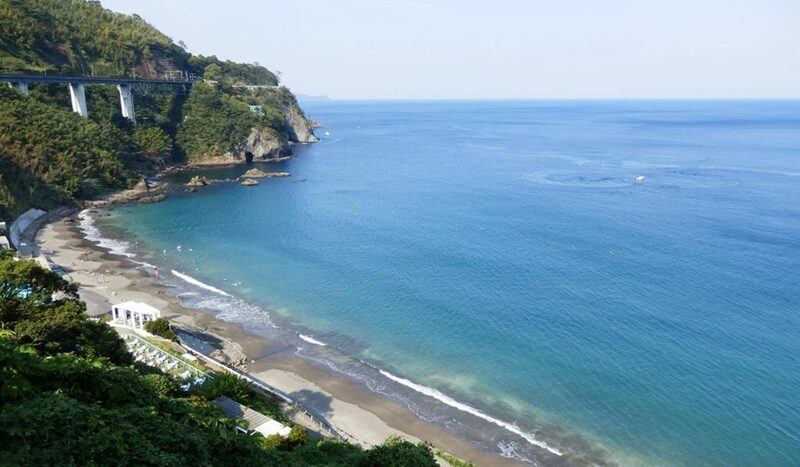 The Izu Peninsula is home to a popular resort area that’s perfect for those who need to get off their feet and rest their weary bones after hectic and hurried travels through the densely populated city of Tokyo. With Mt. 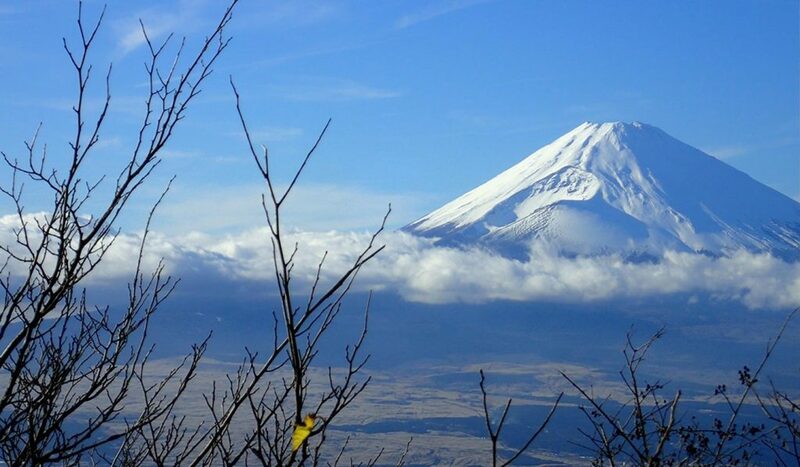 Fuji less than 50km to the North, many people come just to have a picture-perfect view of the wondrous landmark. 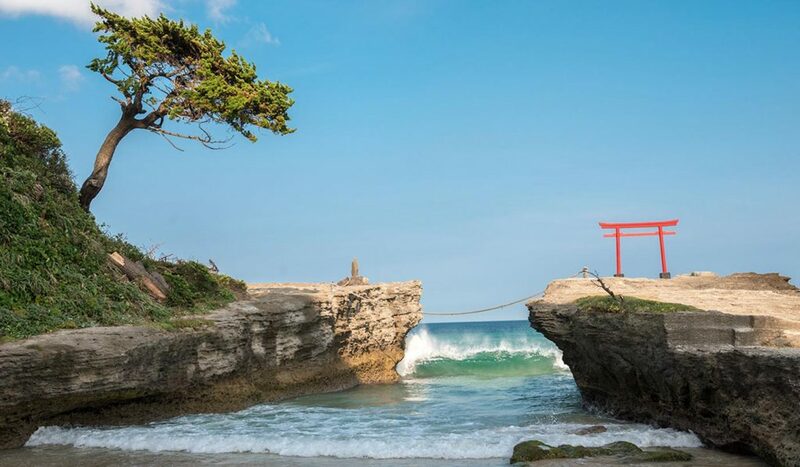 For those with a love of areas where sea meets land, both the Irozaki and Jogasaki Coastlines are perfect for wonderful memories and amazing pictures. 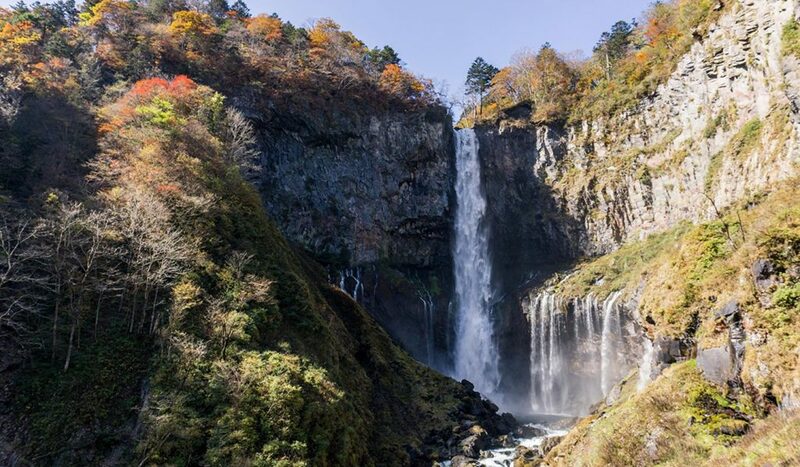 The Shuzenji Hot Spring Resort brings comfort and nature together for one relaxing experience, and the sights of the seven gorgeous waterfalls at Kawazu Nanadaru are hard to beat. Although it’s recommended as a day trip, many people love the experience so much that they end up making their journey a weekend trip! The town of Kawazu is located near the bottom of the Izu Peninsula and can be enjoyed in conjunction with the other local towns in the area. As mentioned above, the Kawazu Nanadaru, or Kawazu Seven Falls, includes seven unique waterfalls that originate from the Kawazu River. 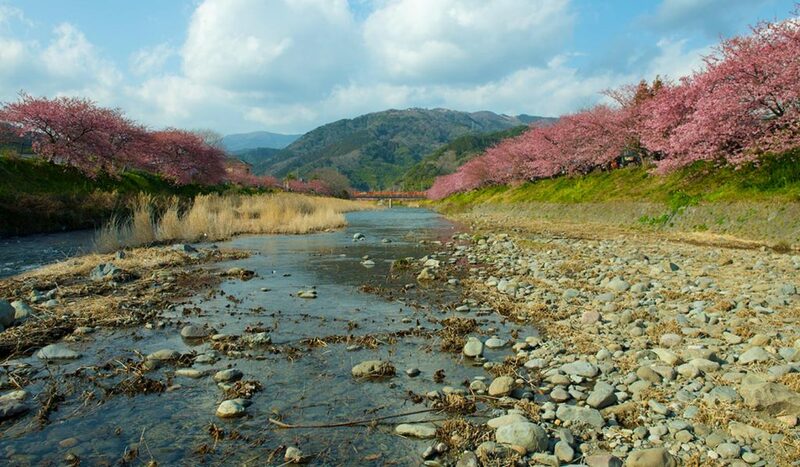 You can enjoy the waterfalls at the same time as the early-blooming cherry trees Kawazu is well-known for. If you’re visiting Japan anywhere between later in January to the beginning of March, you won’t have to miss out on hanami (cherry blossom viewing)! The cherry blossom festival in Japan is an unmissable event, find out when is the best time and places to watch the sakura. Along with lovely waterfalls, fantastic gardens, and beautiful foliage, you can also explore the Mine Geyser Park, which hosts hot springs that gush over 30 meters into the air! If you happen to bring your own eggs, you can even boil them in the hot water to enjoy on the spot! For those who love history and impressive structures, you really do have to see the longest stone tunnel in Japan. At nearly 450 meters long, the Old Amagi Tunnel serves as an important national structure and piece of history. Funny how the nature of Japan can make learning about history so fun! Also located in the Izu Peninsula, Atami is a beloved seaside town that’s packed with resorts, onsen, and ryokan to comfort weary travelers. Even those who live and work in Japan enjoy traveling to Atami, both for business and leisure, to partake in the local hot springs and explore the historic Kiunkaku Former Ryokan – a place where numerous influential guests stayed when the ryokan was still functioning as a Japanese hotel. Two must-see attractions in Atami are the MOA Museum of Art and the Atami Castle. The MOA houses a vast collection of Japanese and East Asian art, and also showcases a gorgeous Japanese garden in addition to a traditional noh theater. Though it looks impressive from the outside, the Atami Castle is actually a museum with a concrete exterior meant to look like a castle. Regardless of the fact, you can view cherry blossoms while they’re in bloom and get a good look at the surrounding areas from inside the observatory on one of the higher levels of the museum. 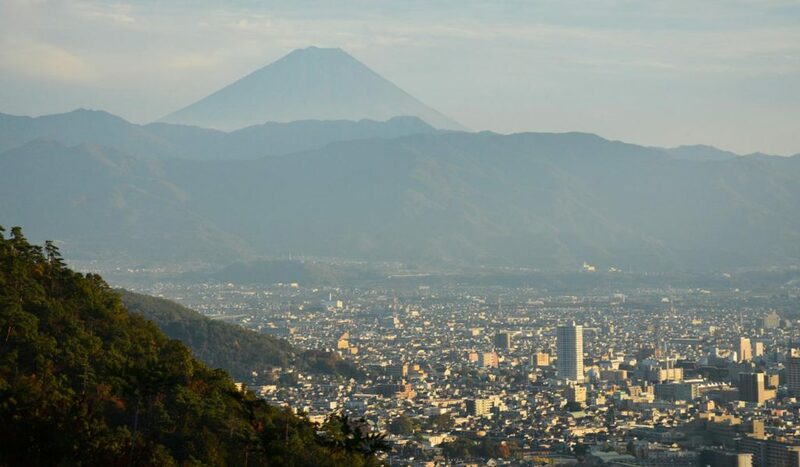 On all sides of the Yamanashi Prefecture’s capital, Kofu, you’re likely to see mountains, mountains, and more mountains. With Mt. Fuji close at hand, many people feel that a 90-minute train ride from Tokyo is well worth the stunning views and cultural establishments. Well-known for having uniquely flavored wine and tasty local fruits, Kofu is more than just a city with great food and hospitality. Traditional izakaya and convenient accommodations have often turned many a Kofu day trips into overnight stays! Take a dip in waters said to have healing properties at Yumura Spa, a walk through history at Kofu Castle, and snap plenty of photos at Shosenkyo Gorge – all in one day! There’s also the Kai Zenkoji Temple, Yamanashi Prefectural Science Center, Takeda Shrine, and much more to explore! For a truly authentic Japanese experience, be sure to stop by Shosenkyo Valley to experience spectacular waterfalls, traditional Japanese art, spiritual shrines, and the stunning natural beauty of the land. One thing’s for sure – you won’t get sites like this from the center of Tokyo! Mentioned above in the Kofu section, Shosenkyo Valley is full of potential for a great day trip outside of Tokyo. Said to be one of the most beautiful scenic areas in Japan, the Shosenkyo Gorge looks as if it were completely untouched by humans, despite the fact that many travel to the area each and every day. Stretched out between the Nagatoro Bridge and Sengataki Waterfall, there are plenty of natural wonders to observe within the valley. Along the roughly four kilometer hike, travelers can expect to see rock formations that are shaped like famous landmarks, deities, or animals. They can also gaze upon the 330-meter high waterfall and revel in its beauty. Of course, no trip to Japan is complete without sampling the local cuisine and purchasing souvenirs! A small village above the waterfall caters to travelers from all over the world, and provides Japanese food and memorabilia that are almost as memorable as the sights! Did you know that there five lakes around Mt. Fuji? Lake Kawaguchi, aside from being the easiest of the Fuji Five Lakes to get to from Tokyo, is packed with numerous attractions that travelers from around the world can enjoy. The lake is especially popular during cherry blossom season and Autumn, mainly due to the fact that the northern shores are full of trees that bear leaves and petals that change with the seasons. You can also experience spectacular views of Mt. 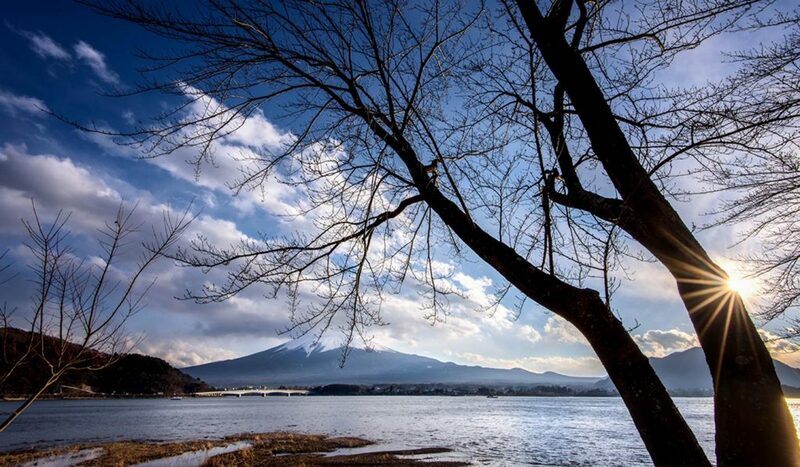 Fuji from those shores, as the beauty of the surrounding nature is a perfect background for any photo. If you’re an amusement park junkie like many Japanese citizens, you’ll be instantly drawn to the Fuji Q amusement park near Lake Kawaguchi. In addition to the delicious food and souvenirs found in the park, there are also exciting roller coasters the likes of which many countries have never seen! At the end of the day, feel free to drop into any of the hot spring baths commonly found around the lake. Matsumoto is a city that many people love to travel to whenever or not they visit Tokyo. Those that are in the country touring the Japanese Alps will also know the city well, as it’s one of the preferred bases for the Norkura, Kamikochi, and Tateyama Kurobe Alpine Routes. Whether or not you’re an eccentric climbing enthusiast, Matsumoto is still worth a visit for those interested in architecture, history, art, agriculture, and shopping. 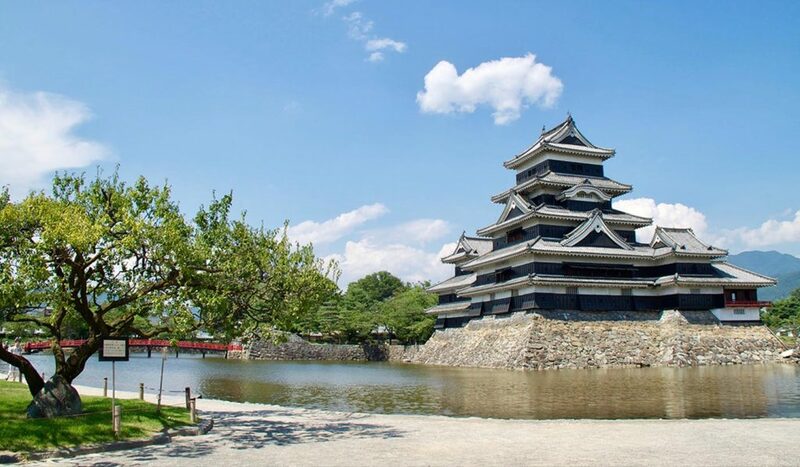 The first stop many travellers make when visiting the city is the famous Matsumoto Castle, which is commonly referred to as the most beautiful original castle in Japan. It stood up to the test of time, and is still around today for those who make the journey to see its beauty and wonder. If you want to pick up a souvenir or sample the local cuisine, you simply must visit the Nakamachi District, which has small shops and restaurants housed in former warehouses. There’s also the Daio Wasabi Farm, which grows a large crop of wasabi every year, and the Japan Ukiyo-e Museum that showcases the art and history of one of the most famous Japanese art forms. For more information about the Japanese art of Ukiyo-e, you can learn everything you need to know before you visit in our handy guide. 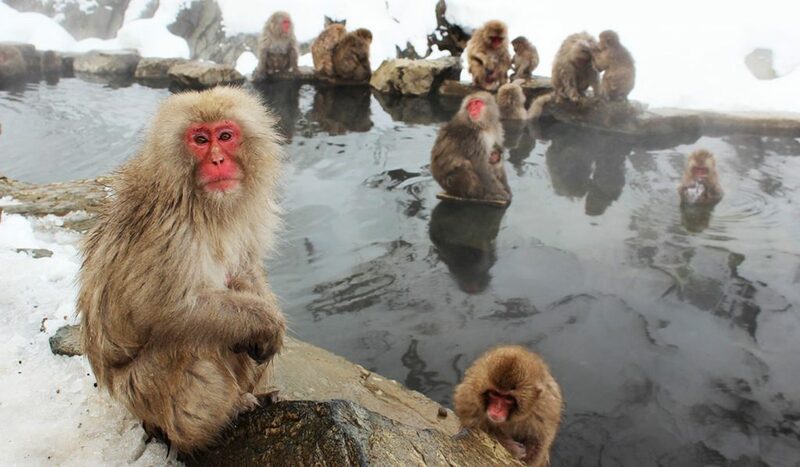 You haven’t seen anything until you’ve witnessed a wild troop of Japanese Macaques – or Snow Monkeys – bathe in a natural hot spring surrounded by onlookers and wildlife researchers! During the cold winter seasons when the area is covered entirely in snow, the monkeys use the hot springs to stay warm and survive the harsh environment. This nature preserve in Yamanouchi is famous for the creatures that inhabit it, and has enticed travellers from all corners of the globe to come and watch these fascinating animals up close. Completely comfortable with humans standing and watching nearby, Japanese Macaques go about their daily lives around the central pool while ignoring visitors. In reality, you don’t have to stay near the pool to see monkeys, as they can be seen almost anywhere in the park. If you ever start to feel jealous of how relaxed and calm the furry inhabitants seem while utilizing the spring, you can head over to the nearby onsen towns Yudanaka or Shibu and have your own hot spring experience! Definitely, Nagano is a place you must check out more places to go in our Nagano Guide. Tokyo has always been considered one of the most important cities to visit during any trip to Japan. While the country’s capital is bustling with activity and full of everything that makes Japan unique and special, it’s not the only place that can accurately represent Japan. If you want to step out of the ordinary and experience authentic Japanese culture and tradition, we highly recommend investing in a day or two outside of the big city. New and exciting adventures await those that are willing to look for it! Most of the places in this list are covered in the JR Pass, learn how to get one. Do you have any other place to recommend? 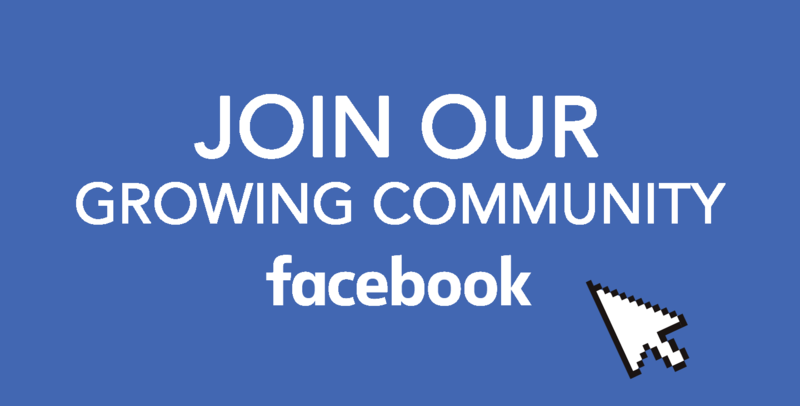 Join our Facebook group and let us know! By the way, you can also find Your Japan on Facebook, Instagram, Twitter, and Pinterest. Follow us and don’t miss any news about Japan.